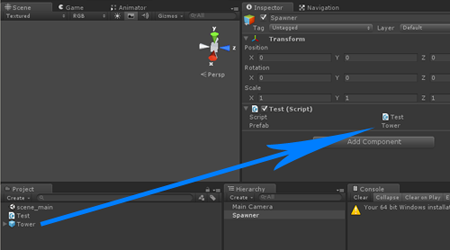 This short article explains what Unity's Prefabs are and what they are useful for. When the player starts the game, usually there are no Towers in the scene yet. 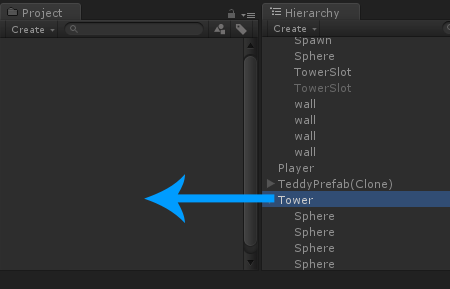 What we need is a way to save our Tower GameObjects somewhere and then load them into the Hierarchy again as soon as the player wants to build a tower. This is what Prefabs are for. 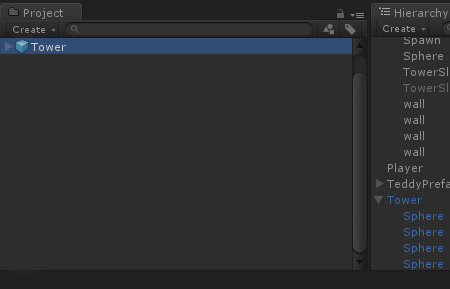 Now we can delete the GameObject from our Hierarchy so it's not in the game world anymore. But since it's in the Project area, we don't lose it completely. If we want to load a prefab, we have two options. 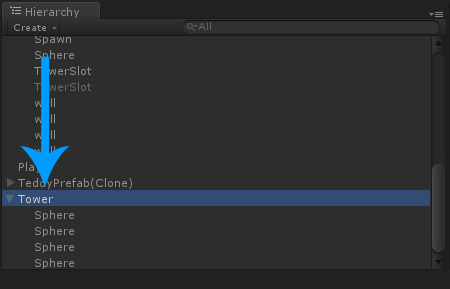 We can either do it manually by dragging it from the Project area into the Hierarchy area, or by using a script that calls Instantiate. After pressing start, it immediately loads our Tower Prefab into the scene.